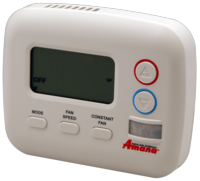 The Amana brand DigiSmart™ PTAC also offers a wireless remote thermostat. 2-way wireless communication between PTAC and thermostat. Communication without a line of sight. Easy to install single connector for antennae communication. One-button connection to the thermostat.